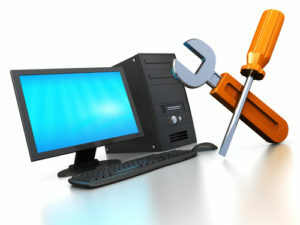 Our PMT experts are ready to take on every challenge big or small to ensure that your computer systems run flawlessly. Whether you are located in Burley or the surrounding area, the dedicated PMT Computer Tech Force offers a complete level of support for all your computer and network needs. on our way to fix any problem and take care of your network needs. For less urgent issues and for added convenience, you can drop off equipment at our Burley office or we can arrange a time to come to you. Our technicians are highly trained and are constantly improving their skills and abilities through our different educational programs and external/ internal training courses. The PMT Tech Force is Cisco, Microsoft and Bicsi Certified. Maintaining a secure network ensures that both you and your customer’s private information remains that way. We also offer alternative backup and storage systems for your data. To help support your business, we offer protection for your physical equipment and inventory as well as for the proprietary information stored on your network. We also have virtual private network options and firewalls to protect sensitive data. For physical security we provide residential and business alarm systems throughout Burley along with video surveillance as required. Knowing that your data is safe allows you to focus on day to day business activities to help your company grow. For more information Contact PMT’s expert Account Representatives to learn how PMT Tech Force can help your business at (800) 322-4074 or email sales@pmt.coop.